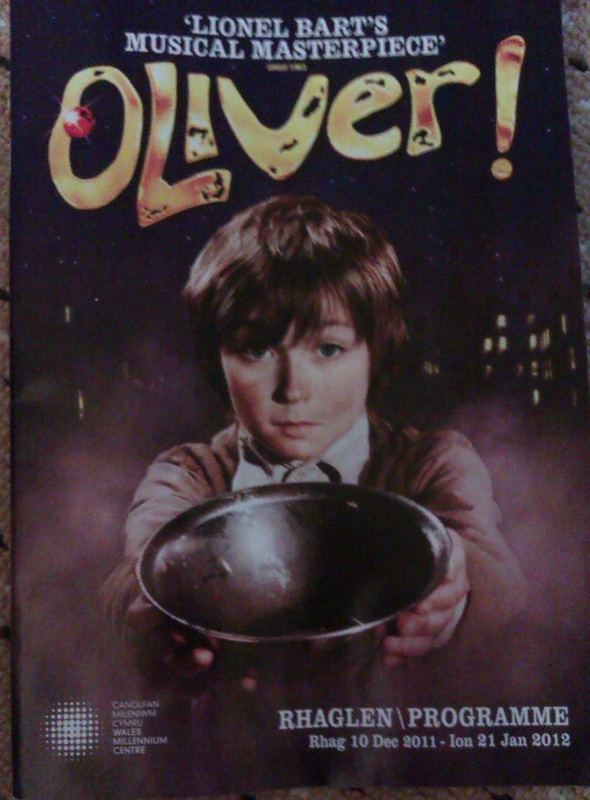 On the 29th December and 20th January I went to see Oliver! for the first time on stage at the Wales Millennium Centre. I loved the film growing up. So much so that I became enamoured with the idea of being part of Fagin’s gang and organised a small gang of my own to do some pickpocketing at a local playscheme. Unfortunately, the reality of it was not all-singing and dancing. Instead, my conscience kicked in, I felt horribly guilty and I ended up sneaking the stuff back where I got it from, like it had never happened. I would have been the one putting things into pockets. A put-in-pocketer. Anyway, the point is, for a film I grew up on, it has been a long time coming for me to see it on stage. But, it was worth the wait. 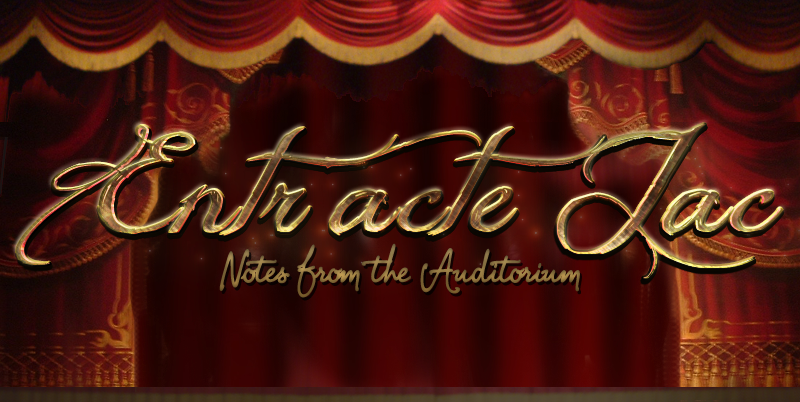 I was absolutely captivated by it from beginning to end – mostly managing to stay in the world painted before me on stage, even during a school holiday matinee performance. Which of course means many restless children. Though, it must be said, aside from the sweet wrapper rustling and the occasional baby wailing loudly, the kids were mostly quiet. To me that says something about the quality of the production! (see my previous blog post if angry rants are your thing). The show opens onto the workhouse scene and it was immediately obvious how hard these boys have worked on this show and the energy they put into it was boundless. A comment on lighting here - particularly noticeable in the opening scene, where the boys utilise most of the downstage area – the very front of the stage gets a bit lost in darkness. Shadowy is fine, because it is after all a workhouse, but this was a line of dark. It’s not a major problem as that far downstage isn’t often used, but noticeable enough to be noteworthy. 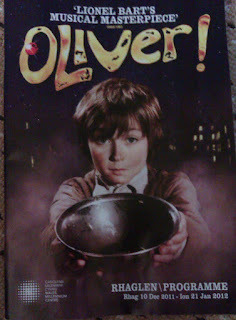 Harry Polden played Oliver in both the performances I saw, which I was pleased about, as I know he’s good from seeing his performance of Gustave in Love Never Dies. This boy has a pretty accomplished theatre CV already for someone who is only 12 and has worked with some notable west end performers. He’s earned it though. It’s obvious that he really loves being part of this profession and consequently puts everything into his portrayal of these characters. He has flawless clarity in his diction and an angelic singing voice. His portrayal of Oliver had just the right amount of naivity, maudlin and that controlled sadness. The other performance that stood out again goes to the youngsters – those that played Artful Dodger. I don’t know who played him on 29th December because I was a bit of an idiot and completely missed the board with the cast list on. I do know that on January 20th, he was played by Joseph Potter. It was high praise from my theatre going companions who were all raving about the performances from the respective Artful Dodgers. I imagine this is a dream role for young actors, though, as he’s such an interesting character and leads one of the standout moments – the consider yourself scene. After the show last night my friend’s husband said to me that he didn’t realise how big the part of Fagin was and I think many people who aren’t very familiar with the story don’t realise. I would say the story is as much Fagin’s as it is Oliver’s. This highlighted in the fact that the final moment is that iconic image of Fagin walked into the bleeding sunset to whatever fate has in store. Neil Morrissey handled this enormous challenge exceptionally, capturing every essence of the Fagin we all know – the juxtaposition of sleazy, selfish criminal with caring patriarch to these lost boys. His singing voice was pleasant enough, by no means brilliant, but then, Fagin doesn’t need to be a great singer as it’s more about the character. As a rule, I dislike stunt casting, though I have come to expect it for roles such as this. One reason for this being how they play upon it. To me, the only time you should acknowledge that there is ‘a name’ in your show is in a pantomime (and Spamalot – but then that is like a panto for adults). I very much disliked being pulled out of the story for the sake of jokes such as ‘Can I fix it.... yes, I can’ (in reference to Neil Morrissey being the voice of Bob the Builder) but then other audience members lapped it up – so I guess it worked on the people they were trying to appeal to. Samantha Barks was brilliant casting in the role of Nancy. She has come a long way since taking part in ‘I’d do Anything’ not least noteworthy being her time as Eponine in Les Miserables , which she even got the honour of recreating for the 25th Anniversary Concert. She had tons of energy in this role – just watching ‘Oom Pah Pah’ wore me out, though I could tell that she and the rest of the cast love performing it. She really got to the heart of Nancy and had a good understanding of her bewildering commitment to Bill Sykes. The only cast member who I felt was a bit of a weak link was Stephen Moore in the role of Mr Brownlow. I just felt his heart wasn’t really in it and it seemed a bit like he was reciting lines, rather than performing them. This only really applies to the performance I saw last night, so I don’t know if he was lacking energy but that shouldn’t matter. If you’re in a production like this (or any production really) you need to pull the energy from somewhere, even if you’re not feeling it. And lastly I just have to give a special mention to the boys who have been playing ‘Nipper’ for the awww factor – well played boys.